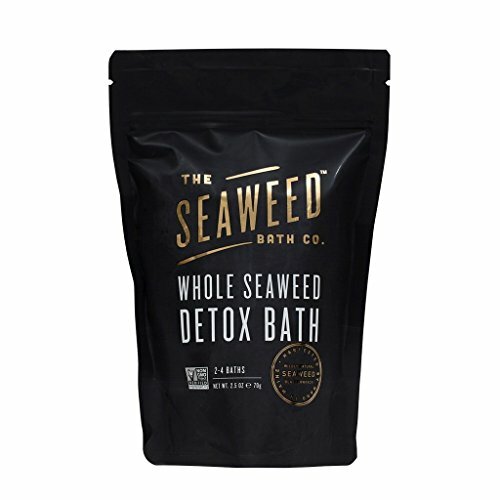 Why we love it: Replenish and detox your skin with this Whole Seaweed Detox Bath bath soak. Pure, organic Bladderwrack Seaweed helps the skin to naturally flush environmental toxins and heavy metals while infusing the skin with over 65 vitamins and minerals for health and vitality. The anti-inflammatory properties of this seaweed calm and soothe red or irritated skin and gently increase microcirculation to aid the body in letting go of excess fluids. Add seaweed to the included mesh bag and float the bag on top of the water. Soak in seaweed infused warm water.